On the east coast of the United States historic sites are as numerous as the dust bunnies on my floor. There are a lot. And instead of cleaning my house and sweeping dust wads, we are being intentional about visiting some of those sites. 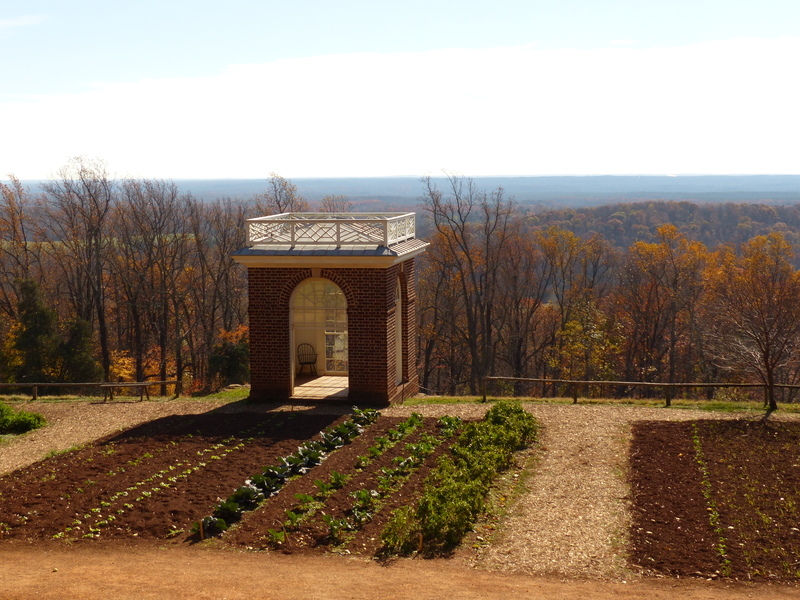 Monticello, Thomas Jefferson’s home, was our most recent victim. Little Peanut was not on her best behavior. . .
Little Peanut is two. When she is hungry, cold, tired or two-years-old, she can be a hot mess. 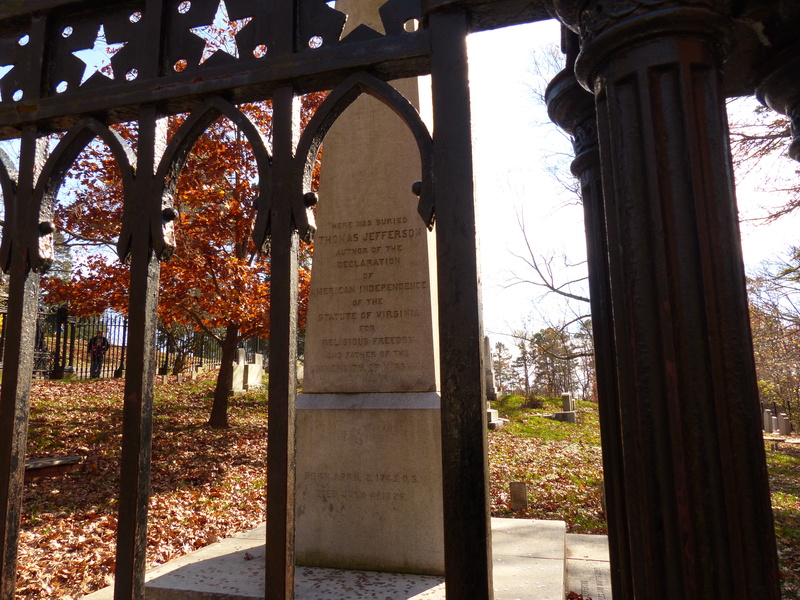 Thomas Jefferson, the third president of the United States, was a wealthy, slave-holding landowner. He had many nice, fragile things in his exquisitely designed home. Many of those priceless treasures are cordoned off with light, swinging ropes just the height of a two-year-old. Any adult who has visited a bank, airport or other area where people are guided to stand in line or stand back from a prohibited area is well-aware of the temptation the ropes pose to small children. 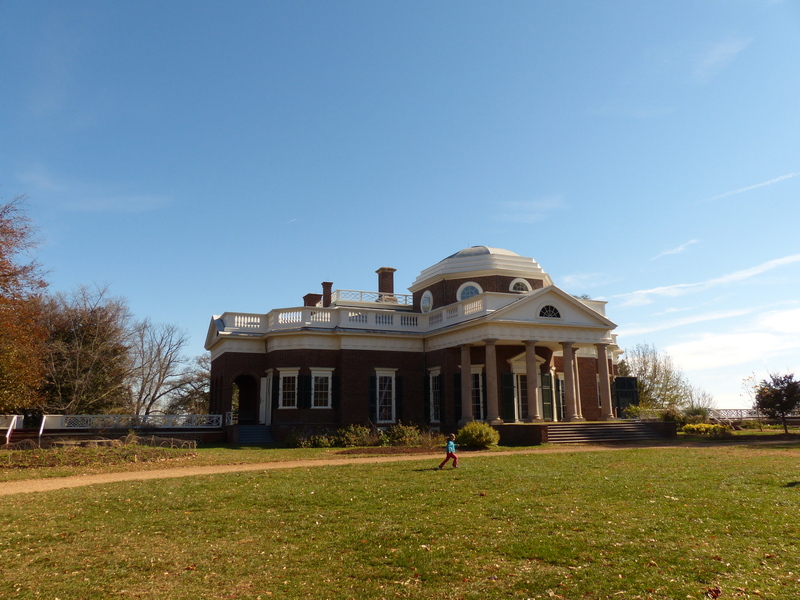 I’m sure they weren’t original to Monticello and proved irresistable to the children. Before entering the home on our guided tour, we quietly explained this is a “look-don’t-touch” kind of place. Four-year-old Lil’ P gets that. Little Peanut. . . Well, she’s a little sinner like all of us. “What’s that daddy?” We can deal with that question repeated ad nauseam. It shows at least a slight interest in what we are seeing. “Where’s Thomas Jefferson?” was also welcome. Ah, she is retaining a little of our discourse concerning this Founding Father and the fact that Monticello was his home! “He’s not here. He’s dead.” This lasted for about five minutes of the tour. Then her little, sinful will completely took over. Crying, yelling, flopping on the floor. “Put me down! Pick me up!” The tour guide delightfully talked on and on about Mr. Jefferson’s divine genius while Little Peanut arched her back, trying to throw herself out of my arms and onto Mr. Jefferson’s very own bed, which was “perfectly aligned to catch the breeze in the warm summer months. Oh, Jefferson was a genius. Can you believe he thought of that way back then? He was an extraordinary man. See that clock? He designed it himself. 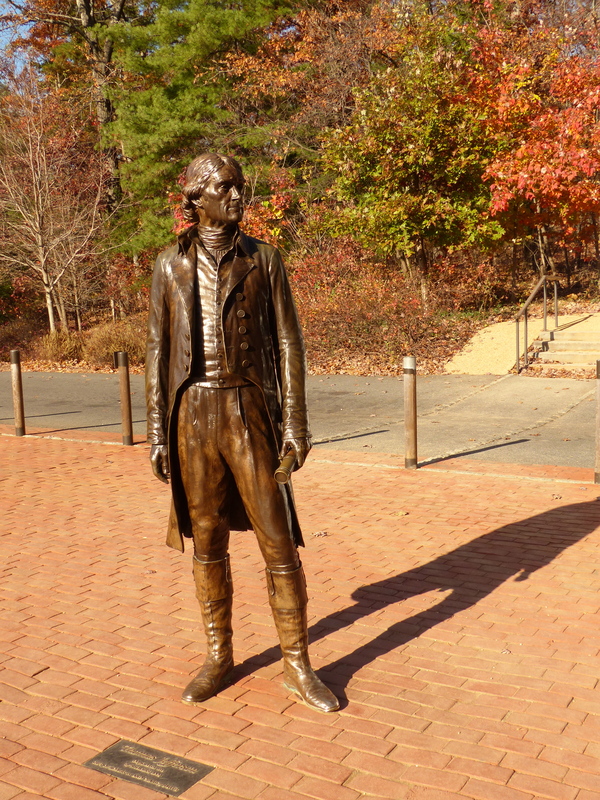 He was incredible.” Our tour guide was quite enamored with Jefferson. I was enamored with the exit. When will this tour be over? It’s not supposed to be like this! I’m so embarrassed my child is acting this way. “Hey, if you don’t cut it out I’m going to take you back to the parking lot where your mom is waiting for you. It’s too bad she couldn’t come on this great tour and had to wait in the car because she got sick. . .” I didn’t really say that, but I wanted to! Seriously kid, who’s your mother? Can’t she control you? No, I can’t. I pray, guide, train, teach, discipline, pray, pray, but only the grace of God will transform her heart. Even then, she will have her “moments.” Don’t we all? While she was having her moment of outward rebellion, I was having my own moment of selfish pride. Why can’t she just obey so I don’t look bad and I can enjoy this once-in-a-lifetime tour? In my mind Monticello will always be associated with Little Peanut’s horrific behavior. But it’s certainly worth a visit and will likely leave you with warm memories of the gorgeous home and equally renowned grounds (unless you happened to be in our tour group that day. Sorry ’bout that.) 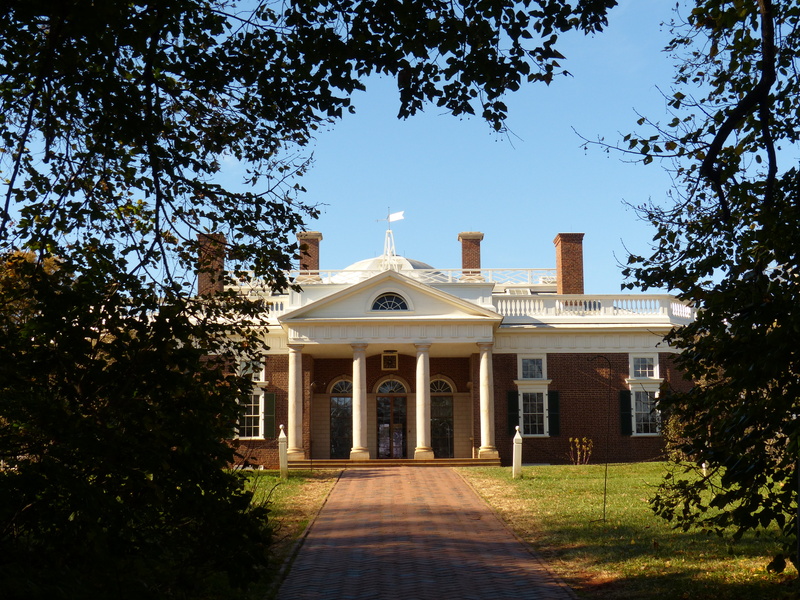 Monticello is located in the hills near Charlottesville, Virginia and is the only presidential home designated a UNESCO World Heritage Site. 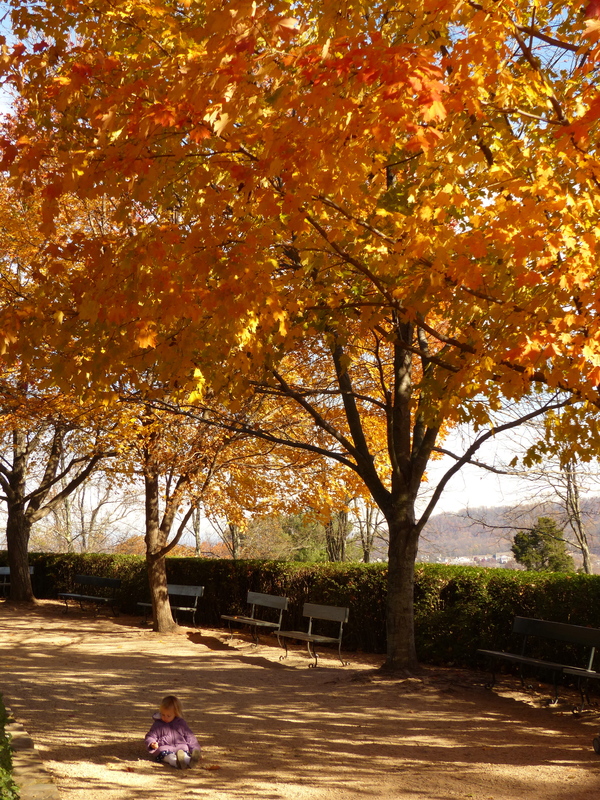 The trees surrounding the house displayed beautiful hues during our autumn visit. Photography is not allowed inside the home, so I just have a few outdoor snaps to share. Guess who didn’t want to walk, didn’t want to ride in the stroller, and didn’t want to be carried? Shocker. If you ever come out to VA it’s definitely worth a visit. It’s very well done and has extensive exhibits on plantation life, not just stuff about Jefferson.